Change things up with these side-trips from Perth: Fremantle (Western Australian Maritime Museum, The Shipwreck Galleries, & more), Caversham Wildlife Park (in Whiteman) and Dolphin & Whale Watching (in Mandurah). Dedicate the 11th (Wed) to wine at some of the top wineries in the area. On the 14th (Sat), give your taste buds a day to remember with a local gastronomic tour. 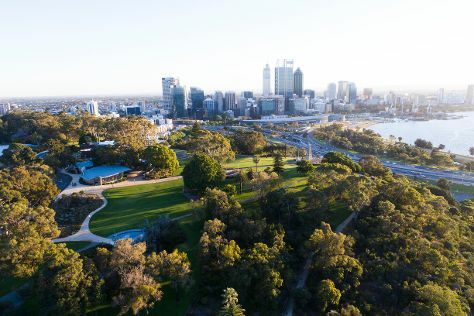 There's lots more to do: stroll around Kings Park & Botanic Garden, go for a stroll along the water at Hillarys Boat Harbour, contemplate the waterfront views at Swan River, and explore the world behind art at Art Gallery of Western Australia. To see maps, reviews, photos, and more tourist information, read our Perth trip planner . If you are flying in from Malaysia, the closest major airport is Perth International Airport. In September in Perth, expect temperatures between 24°C during the day and 9°C at night. Finish up your sightseeing early on the 15th (Sun) so you can travel back home.